← Day 101: Russian Doll Painting Workshop. Day 102: 1000 Tastes of Toronto. Mmmmm… Food! 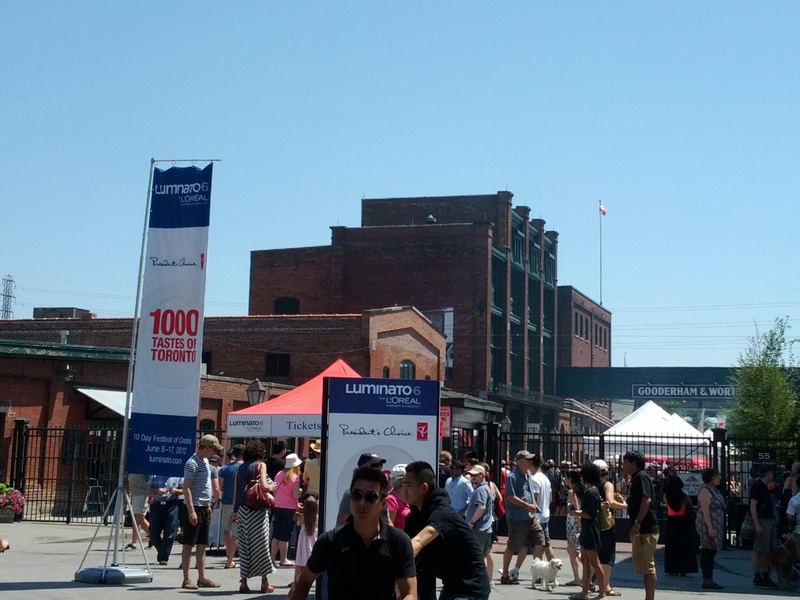 Does anyone else associate Luminato with tasty treats, besides moi? 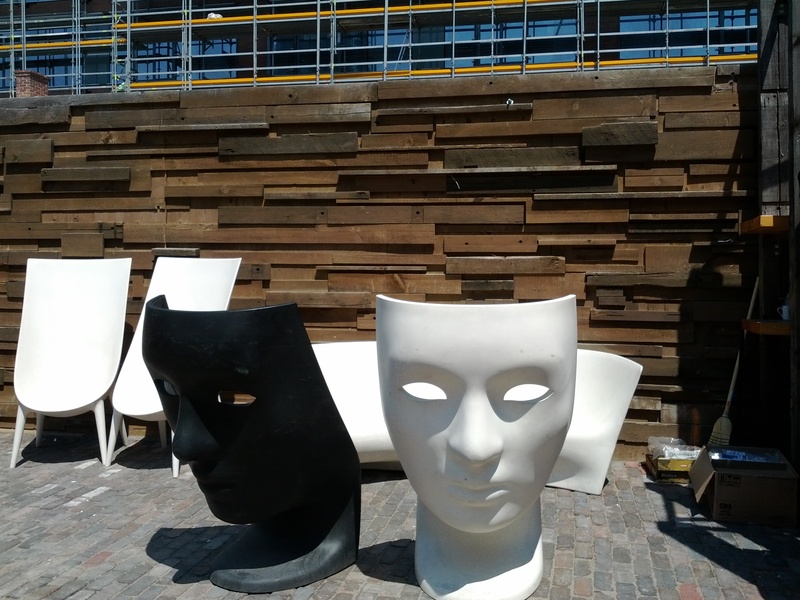 The festival runs from June 8-17, and, in between spectacular events showcasing visual arts, literature, music, and magic, you will also find some of the city’s best morsels being provocatively touted at the Distillery District June 9-10. Sponsored by President’s Choice, the event surely has something to whet even the fussiest of appetites. 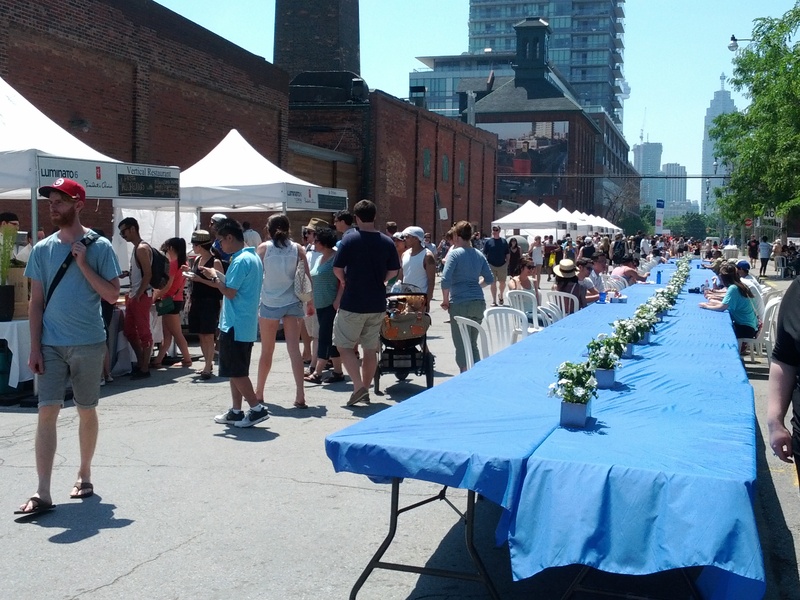 I decided to saunter down to the 1000 Tastes of Toronto today for a few farewell bites to remember the city by, as a pre-cursor to my flight to Spain this afternoon. As much as I am looking forward to gorging myself on tapas and sangria, it’s hard to beat the tremendous diversity and quality that this city has to offer in the way of food. Plus, there’s no time like the present to get in one last preparatory walk in the midday sun to ensure I bring a suitable sunburn base with me to Spain. It was impossible to miss the signs nudging you towards the beautiful grounds as you approached the Distillery. The fact that the roads were closed to traffic was also a good indication. I merrily sauntered down Mill Street past the plethora of booths catering to the variety of palates in this city, gazing longingly at the dishes in front of each customer sitting at the long communal table. This was going to be good! 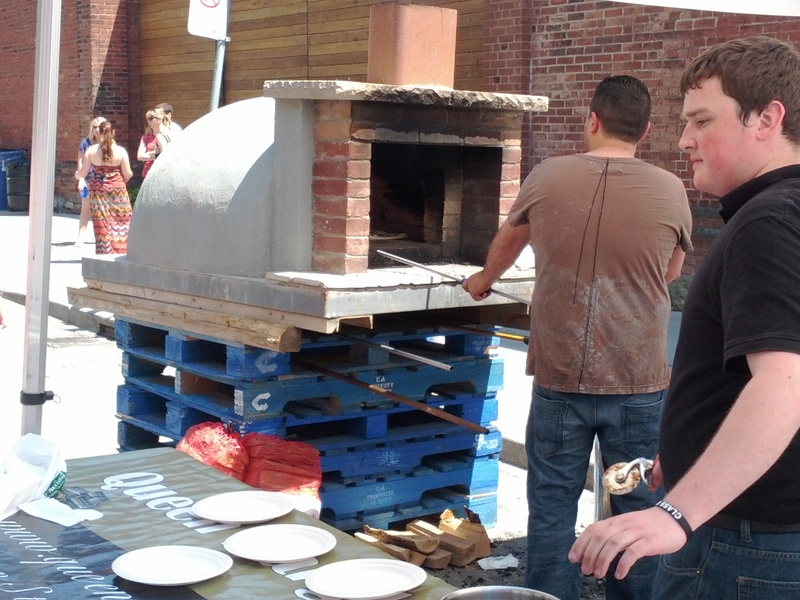 The wood-burning oven that Queen Margherita Pizza toted with them was certainly a crowd pleaser. I made my way into the grounds and was not disappointed. 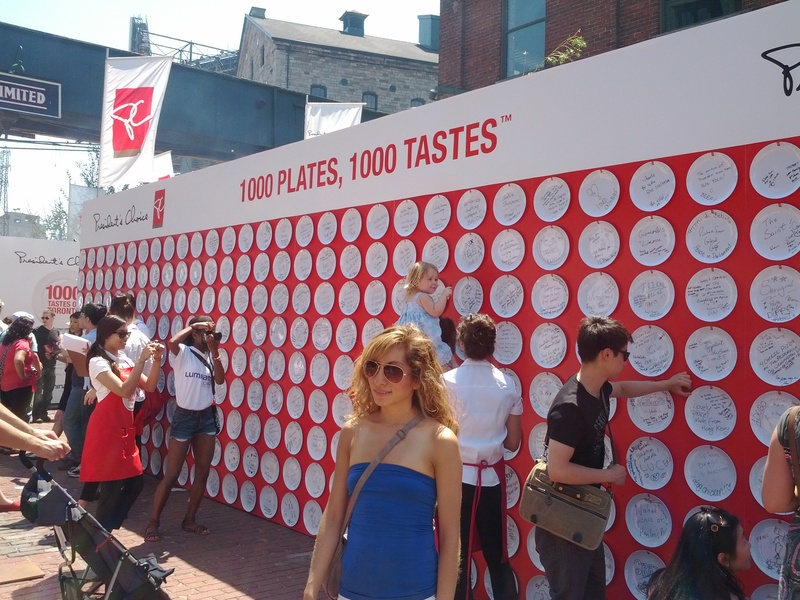 Right in the middle of the main street was the huge PC 1000 Plates display, where anyone can write their favourite childhood food memory on a biodegradable styrofoam plate, that then gets put up on the wall to be shared for everyone to see. It was lovely, and did a fine job to get the saliva juices flowing. 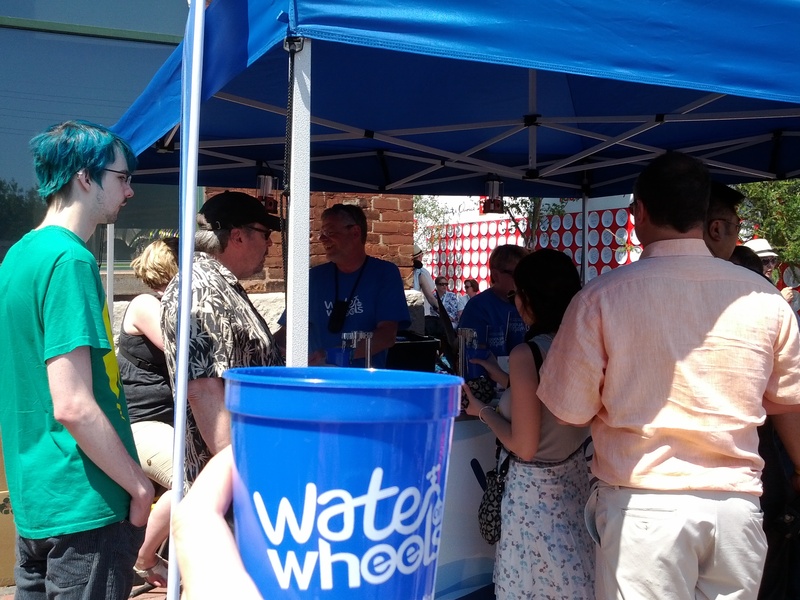 I rounded the corner and took advantage of the Water Wheels stand that sold a reusable plastic cup for a loonie, with endless refills. Nice! That was all the motivation I needed to indulge in some of my favourite decadent treats. 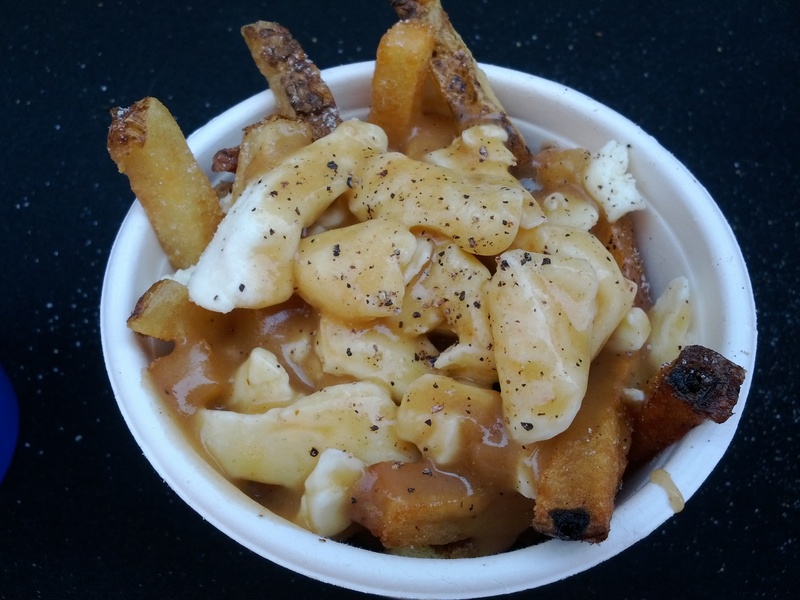 Up first was, of course, a little serving of poutine from Poutini’s. I mean, who can resist? There were plenty of other tempting treats along the way, including fish and chips from Chippy’s, and oysters from Rodney’s Oyster House. 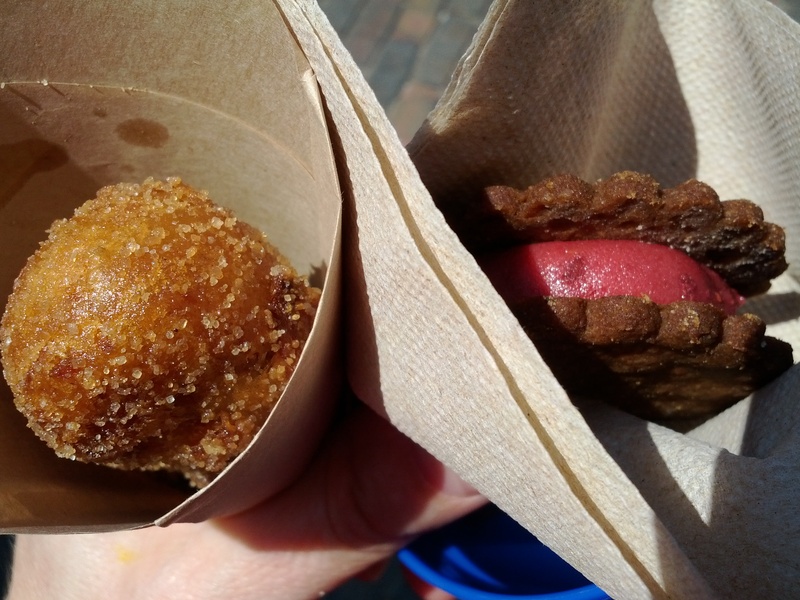 I followed it up with carrot cake doughnuts and a raspberry ice cream bar from LPK’s culinary groove. What’s not to like? Delicious! Hopefully, this will keep my memories of home alive over my upcoming adventures walking the Camino. Wish me luck! This entry was posted in Food and Drink and tagged 1000 Plates, 1000 Tastes of Toronto, Drink, Food, June, Luminato, President's Choice, Toronto. Bookmark the permalink.